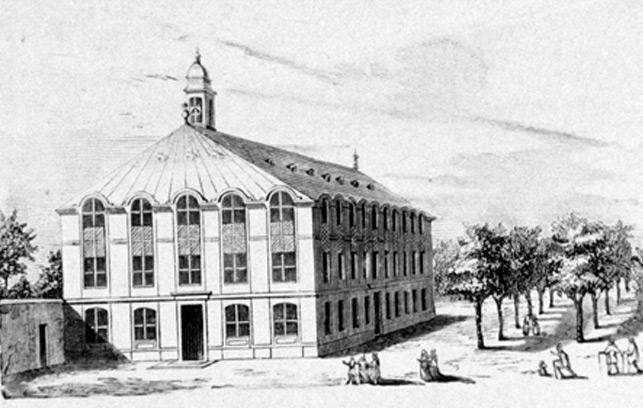 Pierre Du Moulin was a scholar and a well known orator, but he is probably mostly remembered today as the first pastor of the Charenton temple. Minister Pierre du Moulin © S.H.P.F. He went to the college of Sedan, then took refuge in England, where he studied in Cambridge from 1588 to 1592. In 1592, he went to Leyden, in the Netherlands, where he shared the post of rector with another scholar, then he was appointed philosophy teacher in the Academy. In 1598, he was called back to France by the consistory of the reformed Church of Paris. Indeed, there was a great lack of pastors in his native country. In March 1599, he took up his position in the Paris Church – he was the very first pastor to be appointed to the temple of Charenton. (The protestants had only been allowed to worship five leagues away from Paris, in Grigny, on the estate of the lord of Bordes Mercier, then in 1601, in Ablon, which was four leagues away, then later in Charenton in 1606). He was known as a great orator, so much so that he became chaplain to Catherine de Bourbon, Henry IV’s sister, who was a faithful Huguenot and who organized protestant services in the Louvre palace, (the Caryatid room) and in Fontainebleau château. From 1612 onwards he played an important role in the affairs of the Church and wielded much influence on the synods, especially the synod of Privas in 1612. However, life was difficult and threatening for Protestants in these years – this is when Louis XIV entered the Béarn region. In 1618, the king forbade Du Moulin to go to the synod in Dordrecht in the Netherlands. 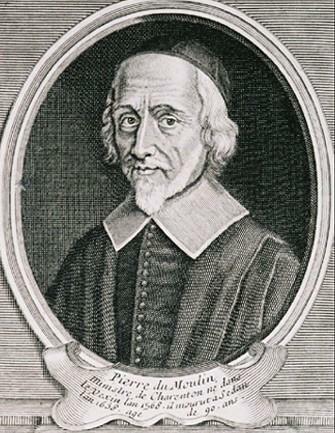 Nevertheless, he managed to get the synod in Alès (1620) to give him official permission to preside over the decisions taken in Dordrecht, with a view to supporting the orthodox doctrine of predestination. The State kept a watch on all his activities because they suspected he was working closely with England and he did in fact go there in 1615, at the invitation of James II who granted him the title of doctor at the university of Cambridge. He was afraid of being arrested in Paris, so in 1621 he travelled to Sedan, which was in a protestant region, where the duke of Bouillon gave him a warm welcome. He became pastor of the reformed Church and was appointed teacher of theology in the Academy. As Louis XIII did not allow him to return to Paris, his last years were spent mostly in Sedan. However, he did travel to England again in 1624, once more at the invitation of king James II, who appointed him pastor to the French protestant Church in London. But he did not stay long in the city because of the death of the king in 1625. He was finally allowed by Louis XIII to return to Paris in 1628, although it was in Sedan that he decided to spend his declining years until his death in 1658. Among several works of controversy, mention can be made of An Apologia against the physical presence of Christ and transubstantiation at the Lord’s Supper, La Rochelle, 1607. There were several editions of this textand some translations into English and German. He also wrote many works about personal faith, for example, The Christian combat at times of affliction, Sedan, 1622. This went into sixteen editions until 1710 and was translated into English, Dutch, German and Italian.